Exposure Anxiety is an ‘Invisible Cage’ that challenges the person to either side with it and identify self with their own compulsive self protection responses. It results in compulsive and involuntary avoidance, diversion and retaliation responses. In its different modes it can be easily confused with Oppositional Defiance Disorder, prompt dependency, Dependent Personality Disorder, Avoidant Personality Disorder or presenting like ADHD. Published in 2003, Exposure Anxiety; The Invisible Cage was the first ever text book by a person diagnosed with autism specifically focusing on co-morbid anxiety and impulse control disorders effecting those on the autistic spectrum and offering an innovative new approach to working with some of the most challenged people on the autistic spectrum. The 336 page book gives case studies and a wealth of strategies to reduce and progressively overcome the compulsive and involuntary avoidance, diversion and retaliation responses of Exposure Anxiety. Following the success of Exposure Anxiety; The Invisible Cage, I was asked to write a concise quick dip 101 manual on Exposure Anxiety. 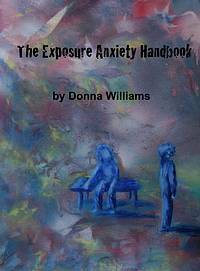 I have now published this as a 117 page E-book, called The Exposure Anxiety Handbook. Drawing upon experience as an autism consultant since 1996, this E-book is packed with case studies and practical tips to get you quickly started in working with those with the compulsive and involuntary avoidance, diversion and retaliation responses of Exposure Anxiety.